I am afraid I am a bit pressed for time right now, so I have extemporised this week’s episode to save writing a script. It may not be as lucid as normal, but its better than nothing. I’ll try and get a transcript up when I have some time. But quality aside, at least I have now worked out why the empire fell. Gibbon starts his history of the Decline and Fall of the Roman Empire in the reign of Augustus on the turn of the First Century. I think this was a period that he understood very well. In fact I would say he had an insight into the setup of the empire much keener than we do today. There were many parallels with his own time. Gibbon’s Britain was a constitutional monarchy. There was a king and a parliament, an assembly of the rich and powerful members of society. The comparison with the emperor and the senate – also an assembly of the rich and powerful – is obvious. 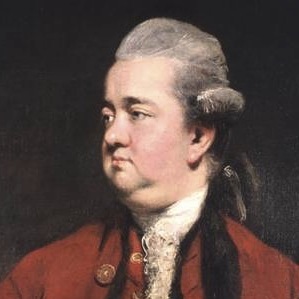 Gibbon himself was a member of the British parliament, so must have had some idea of what it was to be a senator. There was the very obvious difference that under the caesars the senate was the junior partner in government. But Gibbon would have known very well that running a state required a great deal of personal contacts, deal making and the trading of favours. The king was a lot more than a simple figurehead in Gibbon’s time. The court was a major clearing house for the activities of the upper classes. And during Gibbon’s lifetime George the Second had actually commanded troops on the battlefield. Likewise, the Roman senate had a major role in running the empire, again largely through personal contacts, and was a good deal more than a simple talking shop. All this Gibbon would have had direct personal experience of and so would have been able to understand it in a way that we will never be able to. There are issues that are clearly close to the heart of Edward Gibbon MP. Although in Britain parliament had succeeded in taking the lead role in the state, you only needed to look across the Channel to see how different things might have turned out. The Bourbons had established an autocratic regime because they had been able to get control of the army. This was exactly the way the emperors had done the same thing. The British were always suspicious of a standing army precisely because of the risk of the monarch using the troops to crush the liberties of his subjects. By modern standards neither eighteenth century France or Britain, nor imperial Rome would count as functioning democracies. But they weren’t totally despotic either. All three maintained the rule of law in theory and to some extent in practice. Government wasn’t tremendously representative, but neither was it totally arbitrary. This was good news for property owners, and even better news for lawyers. Gibbon’s world was in some ways more technically advanced. It had gunpowder, printing presses, advanced scientific instruments and mechanical clocks. Gibbon also remarks how what he calls ‘the plenty of glass and linen’ has brought real benefits to all the nations of Europe. These were early fruits of what would come in the industrial revolution. It is easy to forget just what a boon to living standards cheap glass is. It enables food and liquids to be easily transported and stored. Large windows allow light rooms without the wind blowing through them. The Romans had glass, but it was a rare commodity and glass windows were considered very extravagant. But although Gibbon’s time was ahead in many respects, the Romans were still the most sophisticated culture that had yet existed on the continent of Europe. Nothing demonstrates this better than transport. Gibbon would have found it impossible to move around Britain any faster than a Roman legion, and in some parts would have found it hard work to get around at all. The network of roads crossing the continent available to the emperors and their subjects would not be beaten for efficiency until the advent of the railways. This was obviously impressive and convenient, but it also meant that a huge free trade area had been created stretching from the wall in Scotland to the banks of the Euphrates. Goods would not be able to flow so freely again until the expansion of the European Union in the the 1970s. Enterprising Romans could and did create goods that could be sold on an empire wide basis and become rich in the process. They could then move to a town to enjoy the fruits of their labour, and spend their money on goods produced by others. Urbanisation was very advanced and was arguably more extensive than in Gibbon’s Britain, which itself was among the most urban places in Europe at the time. The consensus is that the population of Rome peaked at around a million at the empire’s height. London would not reach that figure until the early years of the nineteenth century. Large cities require a lot more than just a lot of people living together. Civil engineering is key to keeping them housed, fed and above all supplied with water. The very word aqueduct always calls Roman engineering to mind. Roman plumbing was equally impressive and again, probably better than Gibbon would have had to put up with. Cities and towns have to be fed. Pre-industrial Britain and Ancient Rome were both predominantly agricultural societies with the bulk of the population living in the countryside devoting the bulk of their lives to the growing of food. Tools had developed, plant and animal varieties had improved and accumulated experience had enabled productivity of farmland to grow. But until the advent of modern pesticides and fertilisers in the twentieth century there was a limit to the yields that were possible. This meant that inevitably men of letters like Gibbon had to be rare. This was just as true in the Roman Empire. We see this in the way Gibbon praises his own favourite historian. Tacitus will be remembered for as long as history is read according to Gibbon. This follows from the unspoken assumption that good content will always be in short supply because writers will always be a tiny minority of the population. Gibbon would be amazed both by the size on quality of a modern library, but particularly by just how little of it is given over to classical works. Gibbon had some 6,000 greek and latin texts in the room where he worked. His intimate knowledge of them was what enabled him to write Decline and Fall. He must have been well aware that the authors he was reading relied like him on a privileged position to do his work. But I think Gibbon loses his alignment with the empire as its history progresses. It steadily becomes less like the world he is familiar with and gradually morphs into something he understands much less well. The biggest break comes with Diocletian. He was the first emperor to openly dispense with using the trappings of the republic to confer legitimacy and instead switching to endorsement by the gods. Constantine took this a step further by explicitly becoming God’s nominee on earth. Gibbon had no parallel to draw on when he considered these developments. But I think we can find one that he couldn’t. It seems to me that the late empire comes to resemble pretty closely the mid period of the Soviet Union. Both were autocratic and primarily agricultural. They both had some impressive projects, but they were only afforded by squeezing more and more out of basically very poor people. The trick was to combine a very effective secret police with an all embracing ideology: communism in one case, christianity in the other. Both states tried to control a wide range of people’s behaviour. The attempts to manage the economy were the most disastrous. Diocletian’s attempt to fix prices by edict is famous, and is a forerunner of the centrally planned economy later run by Gosplan. Both had elites that ran them that owed their positions to the government. In Russia it was the party. Constantine actually appointed patricians. The patricians of the Roman republic had been an hereditary aristocracy. But Constantine’s patricians could not pass the title on. In both cases the effect was to increase the power of central government at the expense of any local initiatives. The other similarity is that both states collapsed. The Soviet Union lasted from 1917 to 1991. The last phase of the Roman Empire in the West ran from the reign of Diocletian in 284 and really never looked the same again after the death of Valentinian in 375. I have a feeling the reason that both states collapsed is that the people in charge simply lost the ability and even the will to run things. They had enthusiastically gathered all the levers of power into their own hands, but didn’t know how to pull them all. I think this fits better than that they were destroyed by an external or internal crisis. It is true that when it collapsed the Soviet Union was bankrupt and facing a huge external threat from the United States. But it had always been bankrupt and had always had to have a huge army. Likewise, the Romans had always been surrounded by barbarians. In the end I think it was like a dead fish. It is the brain that rots first. You can omit the apologies. Your blogging ex tempore is better than anything else to which I subscribe, except for the professional broadcasters. What Is Happening With Political Parties?